Our candid portraits capture the vitality and joy of human togetherness, dispelling the posed formality of yesteryear's images of family. Interactive and fun photo sessions allow our subjects to display their true selves and allow us to highlight the special bonds between people. Presented in classical black and white, our portraits become cherished, timeless mementos. Think about the different combinations of people you wish to photograph. 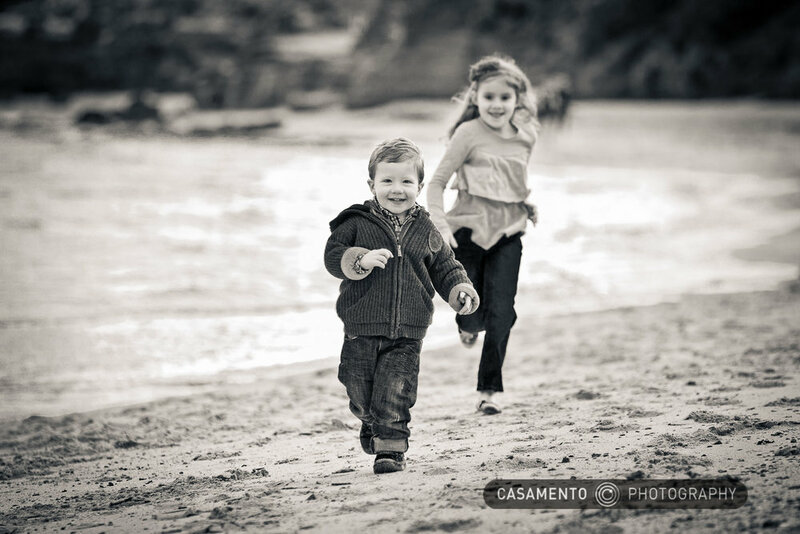 In addition to a whole family group, you may wish to photograph children, parents or grandparents individually, and together, as well as a larger group of extended family and/or friends. 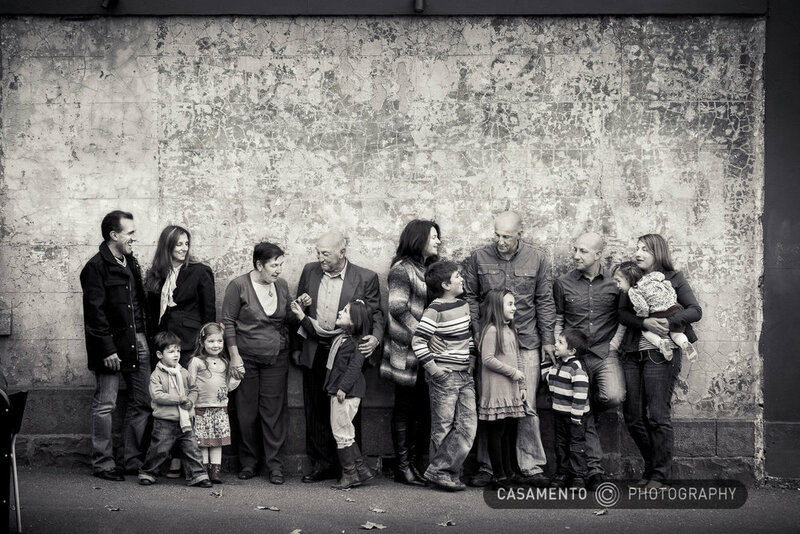 It can be daunting to organise family portraits, as it's quite often a rare opportunity that can be emotionally charged. Left in the hands of experienced professionals to direct, all you need to to is have everyone show up on time, and leave the rest to us. Remind everyone in advance of the importance of the occasion, and that the resulting images will be treasured for years to come. It's also advisable to remind everyone of the time and place agreed upon the day before the session and even on the morning of the shoot. Pets are most welcome, as are props. Children are encouraged to bring bicycles, skateboards, sporting props, fairy wings, bubbles and cheeky grins! Avoid wearing white, stripes, and branded clothing with logos or slogans. These can be visually distracting. Please ensure that clothes will not look excessively creased and have them ironed or dry cleaned if necessary. Winter clothing looks more timeless and classical than shorts, t-shirts or skirts. Even in warm weather, please bring longer sleeves / dresses or a jacket as an alternative. We will plan your session with you in advance. If you'e not sure of anything, feel free to ask us and we'll be happy to advise.